Great guest post by Paul Ducklin who lives and breathes computer security. We suspect that you’ve heard the proverb, “It never rains but that it pours”. It means that when bad stuff starts, you often get a whole lot of it hammering down on you – a literary way of suggesting that things are going to get worse before they get better. People have been saying that proverb for 300 years or more, but it could have been written especially for Equifax, the way things are going. First there was the breach, then the silly domain name, then the tweet that advertised a mis-spellingof the silly domain name, then the news that the breach was bigger than first thought, and then the news that the breach was bigger than first thought by more than was first thought. According to security blogger Randy Abrams, you top it by getting hit by malvertising. …screws up and delivers dodgy content that turns your site into a temporary but visible purveyor of tat. 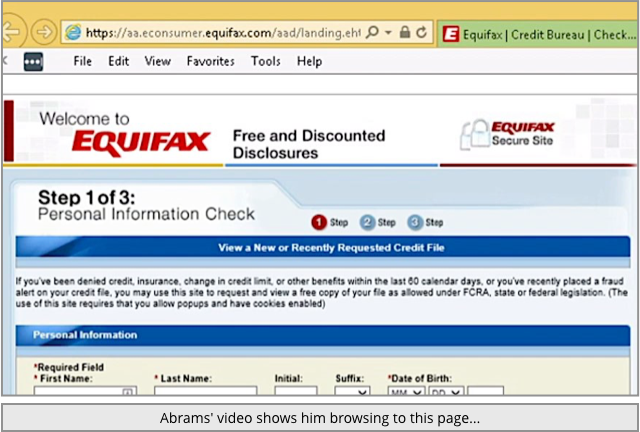 Abrams published a short video showing him browsing to Equifax’s signup page to request a personal information check – as you might do after a breach. Seriously folks. 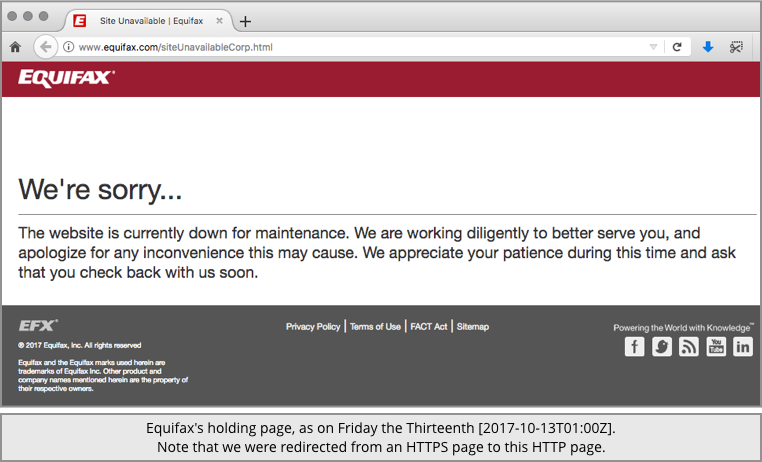 Equifax has enough on their plate trying to update Apache. 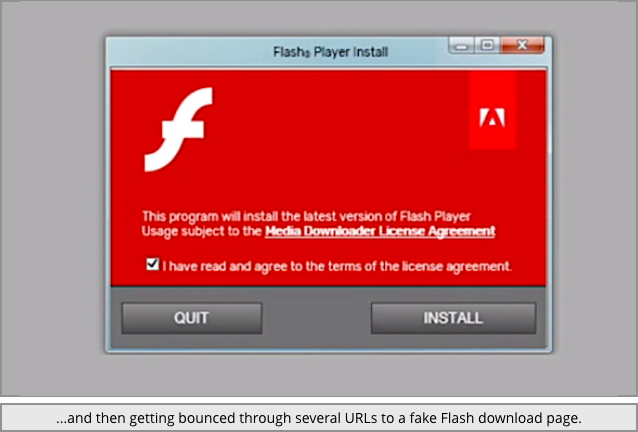 They are not going to help you update Flash. The issue involves a third-party vendor that Equifax uses to collect website performance data, and that vendor’s code running on an Equifax website was serving malicious content. In a word, malvertising, which we defined above. As we said at the start, it never rains but that it pours.